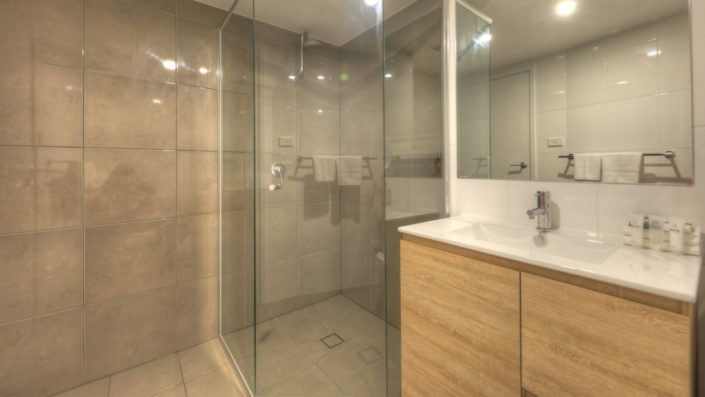 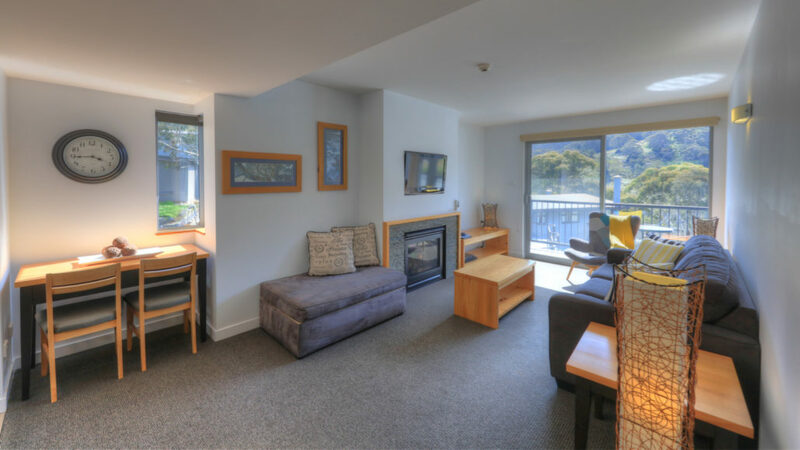 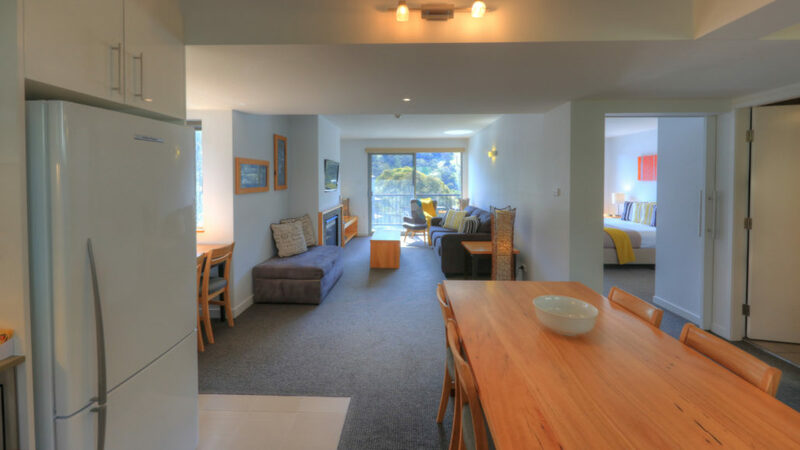 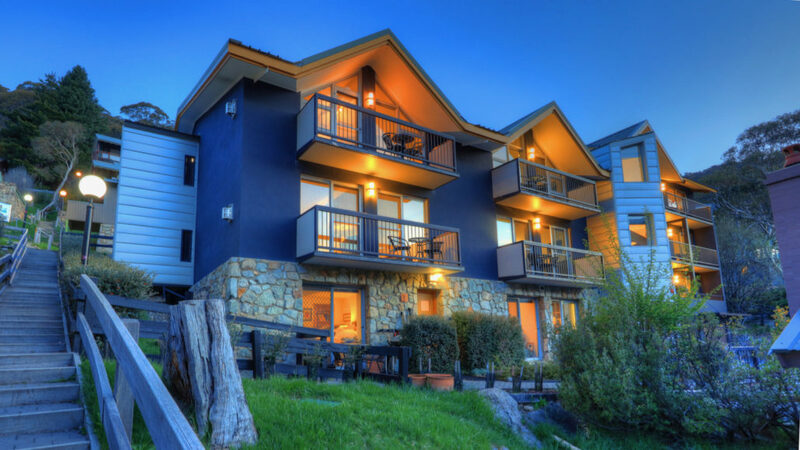 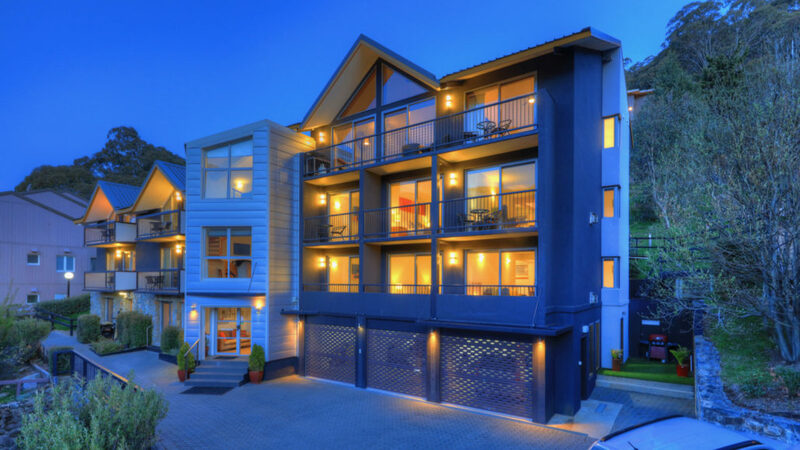 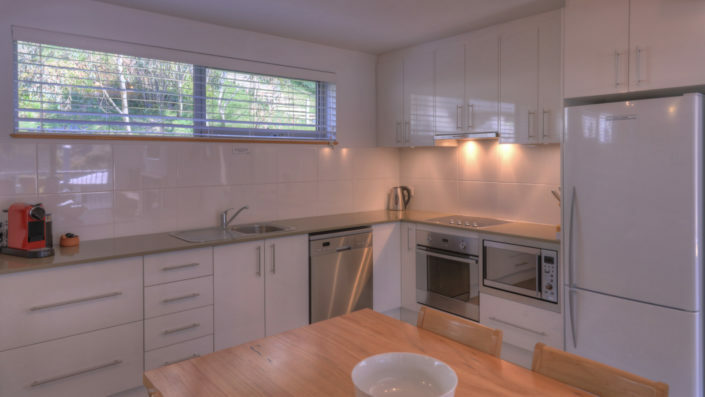 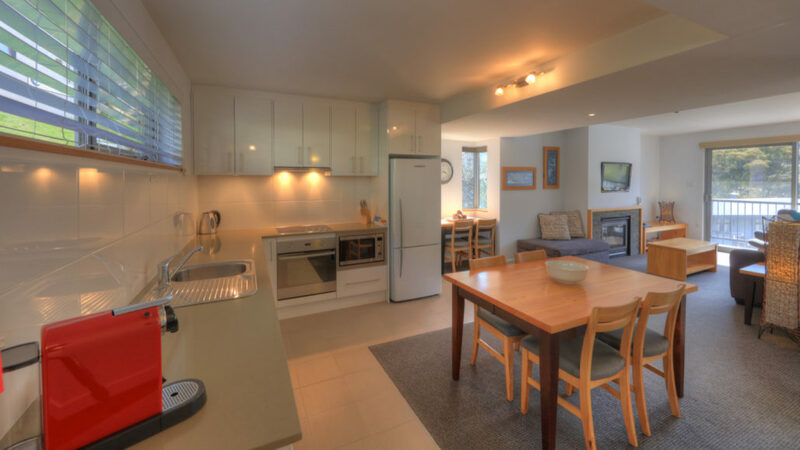 Fully self-contained one bedroom apartment with balcony, gas fireplace, fold-out double sofa bed (suitable for one adult or 2 small children – extra cost applies), one bathroom with shower, full kitchen, dishwasher, microwave, washer and dryer. 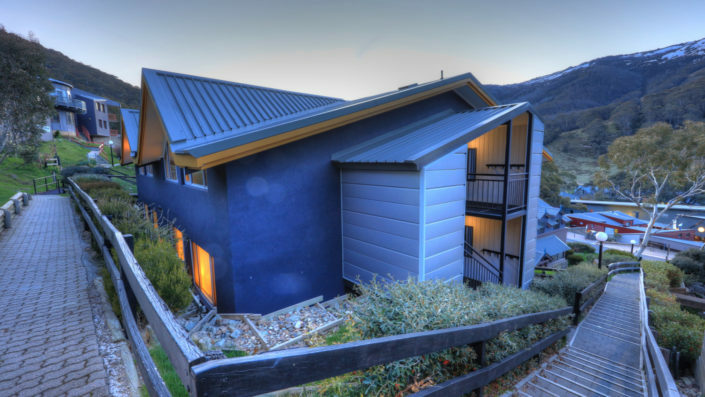 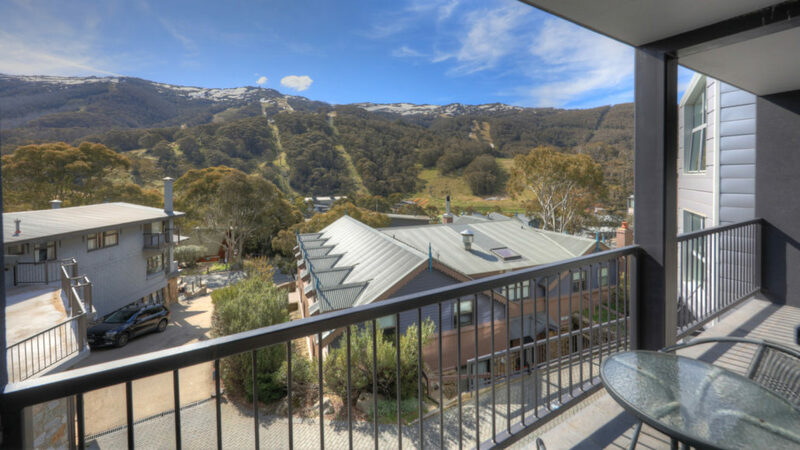 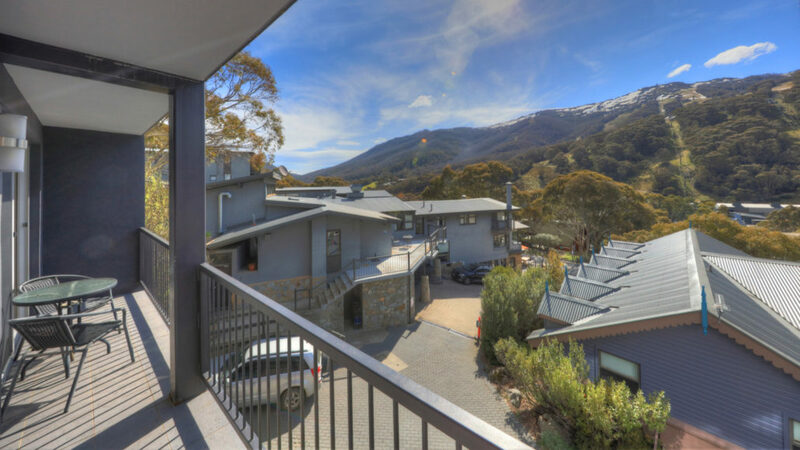 Fantastic mountain views, balcony, on-site car space, all within one minute walk to the village square. 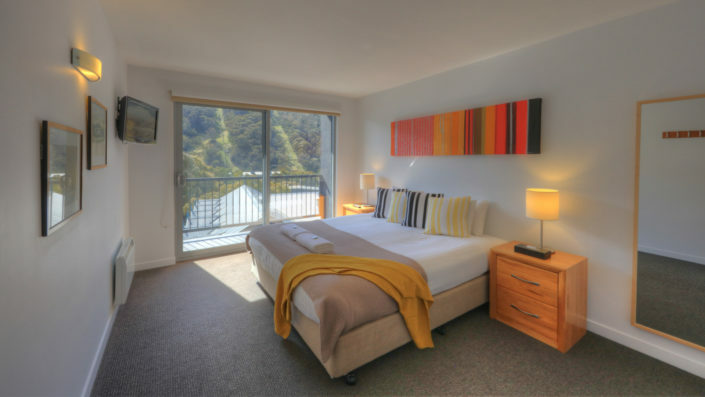 Extra guests $50 per night. Non serviced during your stay.